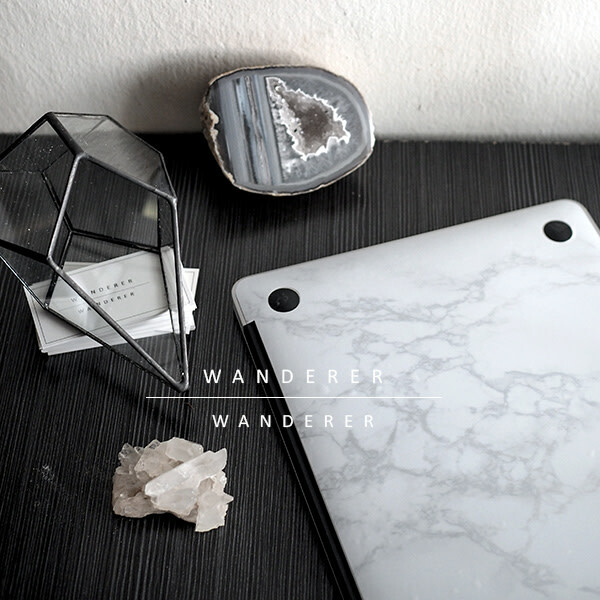 Over at Wanderer Wanderer, we are big lovers of marble and its elegant natural beauty, and thought it was a great idea to embrace the incredible marble trend in the form of a marble decal for Macbook. Nature evokes a sense of calm within our frazzled minds, and a nature inspired piece is always a good idea - timeless, and always beautiful to look at. While it is not entirely something new, we aim to offer it in terms of beautiful aesthetics, value and quality. We all use our laptops heavily, for work, school and play. Consciously or unconsciously, we do form an emotional attachment to it. So why not inject some beauty into it while protecting it from scratches and such? Uplift your work time on it by knowing it's a gorgeous machine. Need a break from your laptop? Close it, and admire the marble beauty on it. You'll also be sure to receive tons of compliments on this (and you can thank us later for it)! Beautiful and realistic white/gray marble print that is currently unique to us. 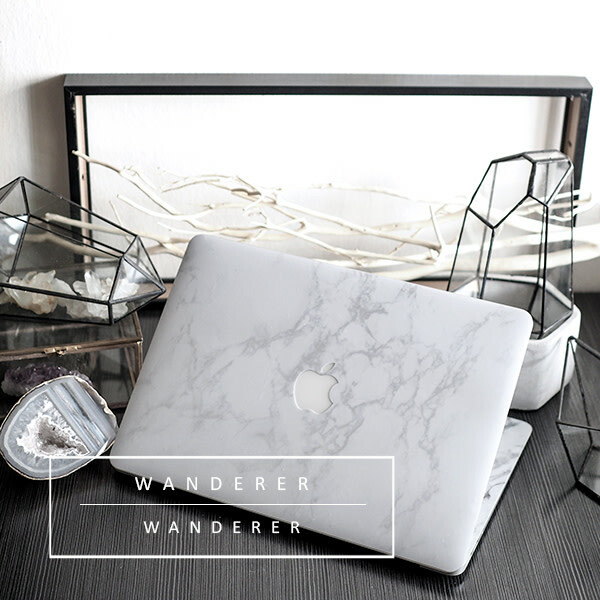 Made from quality vinyl, it boasts an unique matte surface that is coated with a waterproof protective film - protecting your beloved macbook from scratches and liquids. One of the common concerns with applying skins on your devices is having to worry about the sticky residue that leaves on when you try to remove it. Throw this worry out of the window! It boasts a special adhesive that allows for residual free removal, allowing you to reapply without worry (we have personally tried and tested numerous times). Easy removal and application. No sticky residue. Pro and Pro Retina Models have tiny incisions at the 4 rounded corners to facilitate a crease-free, and even application. Air models do not have this due to their flat surface. Item is packaged well in a white cardboard envelope, with a thicker cardboard insert to prevent folds during shipping. -Front piece only for the top lid. When you close and carry your Macbook, having both the front and bottom piece on will make it look uniform and complete. The bottom piece will also serve the dual purpose of beauty and functionality by protecting it from common mild scratches against surfaces. If you're not worried about that, the front piece will be sufficient. Please note that this is currently only available for Macbooks and iPads. Perhaps you may not own a Macbook, but why not get this as a gift for someone you know who does? After all, sharing is caring. 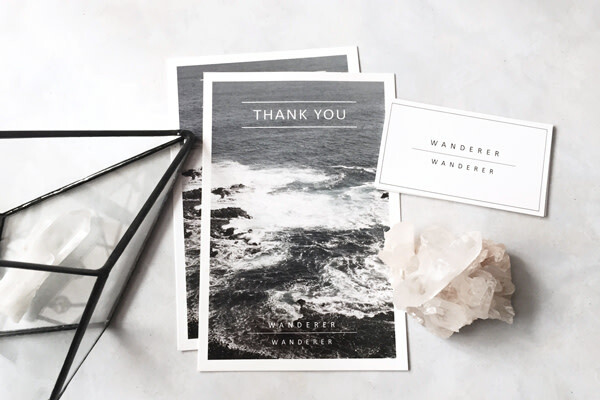 Now, you can get a touch of nature while being instagram-ready.